Thanks for visiting this resource page. Here you will find everything you need to become q sponsor of the Zero Fatalities Tour. What makes John's story special? 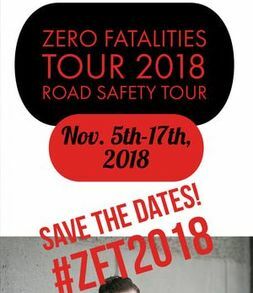 ​Thank you for taking the time to consider being a Zero Fatalities Tour Sponsor and thank you for making a difference in your community. With your support the #ZeroFatalitiesTour2018 will be a success and your community will be safer. Contact me today! ​If you have any further questions, do not hesitate to contact me. Let's make you part of the Zero Fatalities Tour Team. 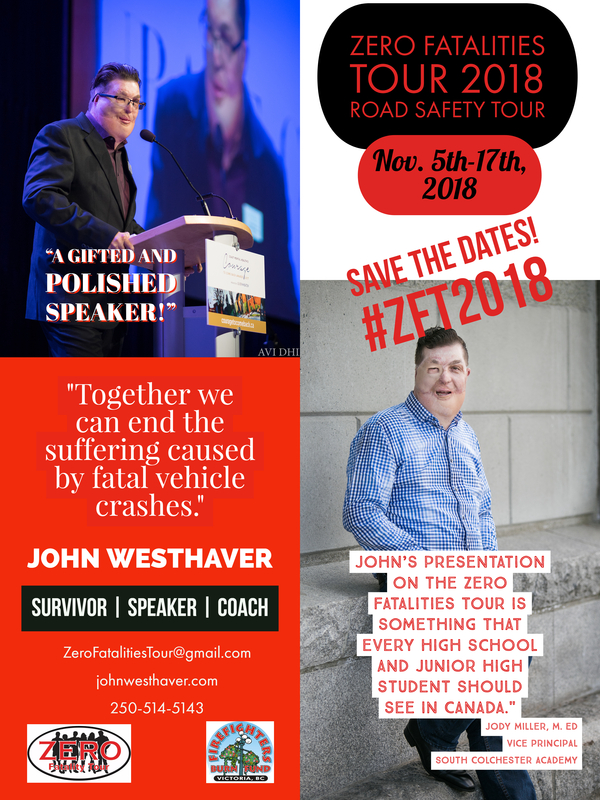 The Zero Fatalities Tour is the title of John Westhaver’s Atlantic speaking tour in coming in Fall 2016. The tour dates for Atlantic Canada are October 31, 2016 through December 2, 2016. The primary objective of this tour is to educate and initiate better choices in order to end all Fatal Vehicle Collisions in Canada. In Canada in 2014, there were 1,667 fatal vehicle collisions and 1,834 people were killed. That is 1,834 families that will never be the same, holidays that will never be as joyous, and homes that will never be as happy. When you hear of someone being killed in a vehicle crash, you never hear of the nightmare that the surviving family members go through. Some have a hard time picking up the pieces of life and some never overcome this and live with deep sadness, heartache and guilt. The number of fatal vehicle crashes needs to drop to 0 and one of the best ways of doing this is to share the real human impact of a fatal vehicle crash. John Westhaver was involved in a fatal vehicle crash when he was 18. This crash not only left John with life threatening burns to 75% of his body, but it took the lives of three of his close friends, one of which was his best friend. He has been through one’s worse nightmare and has made a miraculous recovery. When you see him, you can see his facial scarring and that he has been through a lot physically. John talks about choices, the consequences of making poor choices and the power in making good choices. He shares with the audience the impacts of the choices he and his friends made on that fatal night. He also talks about the choices that he made during his recovery, that had him make the miraculous recovery, turning this tragedy into a triumph. 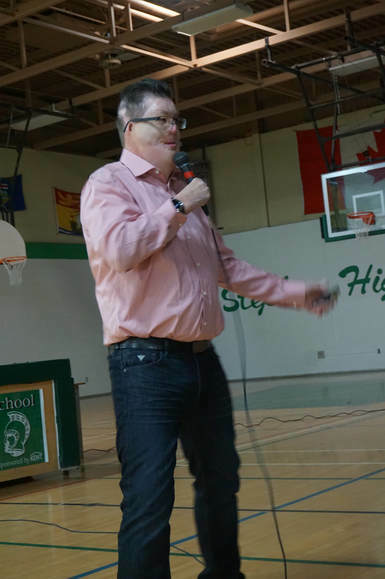 John has been a successful Professional Motivational Speaker since 2002 and has traveled across North America motivating and inspiring audiences of all ages. John is committed to making a huge difference through his speaking. 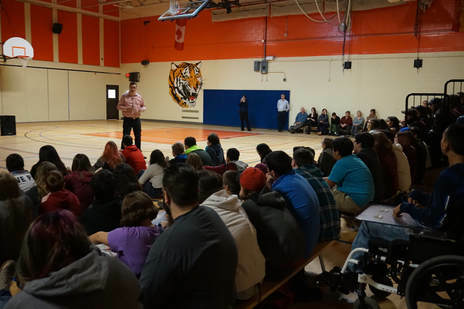 He has created this tour through Atlantic Canada and intends to stop at 10-20 schools, universities, colleges and business/organizations. Having a sponsored tour allows many companies, organizations and groups to stand behind John and his messaging. It allows this presentation to be available to those groups that would not normally have this opportunity because of funding restrictions. It gives sponsors a new way to make a huge difference in their community. Sponsored money helps offset the travel cost including lodging, car rental, fuel, meals and incidentals. All these cost add up on a tour and cut into the viability of having the tour happen. Your sponsorship will make the difference in having this tour happen and be a success. Become a sponsor because you believe in the power of John's work, this tour and the difference this tour will make in your community. Have this be another way you give back to your community and make it a safer place to live. When you end fatal vehicle crashes, it reduces the financial impact on the community. Your insurance rates reduce, your medical and emergency services are freed up and thus reduces the cost through taxes. There is a huge ripple effect when you end fatal vehicle crashes.